Who doesn’t love the Spring time? Longer days, lighter evenings, blue skies, warm breeze…. so many reasons to be happy to welcome the change in seasons. One of my personal favourites though is that the better weather and extended daylight means that you can take your workout outdoors. 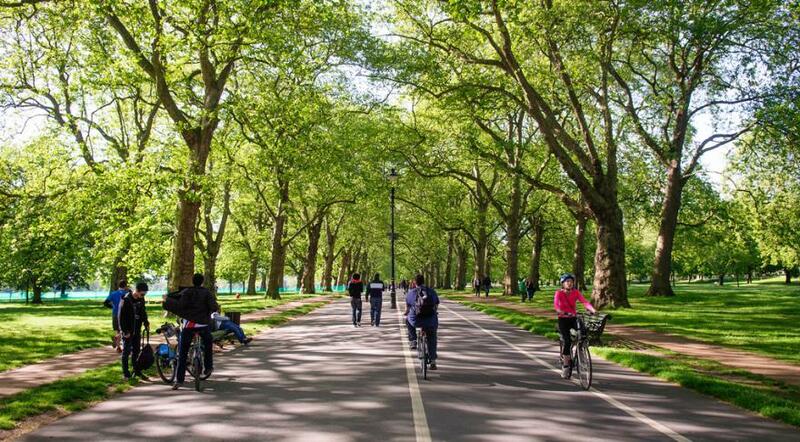 To me there’s really nothing better than saddling up and cycling through one of London’s beautiful parks (check out Hyde Park below), and when a Boris Bike just won’t cut it then you should head to Leisure Lakes Bikes to check out their amazing range of road and mountain bikes. If that isn’t enough motivation to take to two wheels, think about the health benefits that a City cycle could offer. If you’re tempted to venture further afield than Hyde, Regents or Richmond Park on your bike then Leisure Lakes Bikes also stock a huge range of mountain bikes – getting out into the country air can have even further health and fitness benefits. Resistance from the wind (remember those warm spring breezes I mentioned?!) mean you can easily burn more calories from a countryside cycle, and there have been numerous studies into the positive and calming effect of immersing yourself in nature and beautiful scenery. Reduced stress can help the body produce more seratonin (the feel good chemical) – and if your workout makes you feel happy you’re much more likely to stick with it, and as I’ve said time and time again, consistency is one of the biggest factors in seeing results from exercise. Wherever you cycle – to your office, around your local park, by the river or up a mountains side, Leisure Lakes Bikes have a bike to suit you, your ride and your budget. And most crucially of all, they stock plenty of helmets too – safety when cycling is a non negotiable – so just as you wouldn’t run outside without trainers, don’t cycle outside without a helmet. 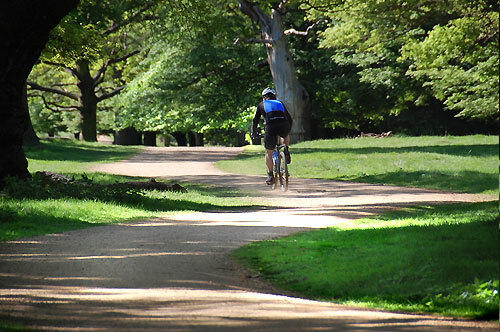 See you on the cycle path – unless you’re too busy admiring the beautiful scenery to notice!